It’s almost tax time. During April, many people take advantage of the opportunity to reduce taxes by funding a Traditional IRA. While that makes sense for some Americans, others may benefit by contributing to a Roth IRA that offers no immediate tax break, but has other tax advantages, such as tax-free growth potential and tax-free income during retirement. Some people may realize the greatest benefit by having both types of IRAs. • Taxable accounts offer immediate access to funds. Money that is saved or invested in taxable accounts – like brokerage or banks accounts – have already been taxed and can be spent at any time. • Tax-free accounts offer a tax break in the future. For example, contributions to a Roth IRA are made with after-tax dollars but any earnings grow tax-free and distributions may be tax-free. Having tax-free income during retirement may help you stay in a lower tax bracket. If you’re planning to open or fund an IRA before April 15 for yourself or someone you love, and you’re not certain whether a Traditional or Roth IRA is the right choice, talk with your financial professional. He or she can review your portfolio and help determine which may best suit your needs. 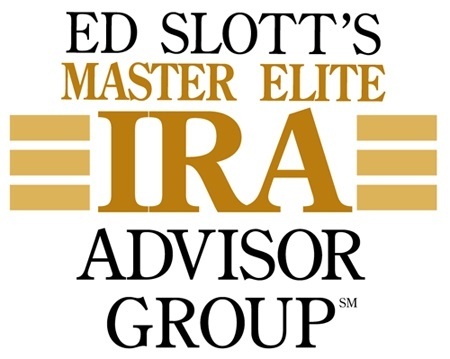 *In general, a distribution from a Roth IRA is tax-free and penalty-free, as long as the account has been open for five years and the account owner is age 59½, has become disabled, is making a qualified first-time home purchase ($10,000 lifetime limit), or dies. Minimum required distributions do not apply to the original account owner, although they may apply to heirs. There are hypothetical examples provided and they are not representative of any specific investment or scenario. Interest income may be subject to the alternative minimum tax. Municipal bonds are federally tax-free but other state and local taxes may apply. This is not intended to be a substitute for specific individualized tax advice. We suggest you discuss your specific tax issues with a qualified tax advisor.